Meek Mill has apparently called off all and any internet beef he has with The Game. It’s been a long year for meek after taking L, after L after L. Rumor on the street has it that meek snitched on Game, which prompted the Compton native to put out 2 diss tracks. The first one was “92 bars” which went straight at meek and mentioned Nicki Minaj. 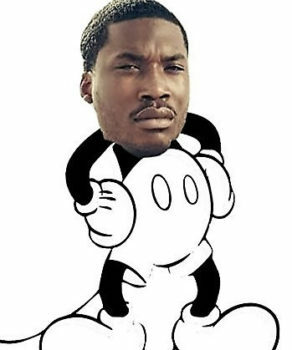 Meek responded by putting out “OOOUUUU Remix” which Game responded by putting out a remix to that entitled “Pest Control. While Meek says one thing, it seems unlikely that he actually sticks to his word. But in the mean time, he can hold this L.
Jermaine Cole put out 2014 Forest Hills Drive back in 20014 and to say it’s a classic is an understatement. The album sold 353,000 copies within its first week without any features. J. Cole has done a lot for his fans, with one dollar concerts to being on tour for the past two years ever since the release of 2014 Forest Hills Drive. J. Cole is for the people, Cole has been involved in giving back to his community and has been seen out marching with Black Lives Matter protesters. Cole recently said after a show that he will be taking a break from music for a while, whether its to work on an upcoming album or just a break in general to just relax and reap the rewards of his hard work. Cole is a newly wed, maybe he’s taking time off to spend with his wife and maybe start a family of his own. Cole taking time off to work on an album is the only thing that I want to believe is happening, the fans yarns for new music from Cole and he will be blessing us if that’s the reason for his soon to come hiatus. Cole stated on a song on DJ Khaled’s new album, on the song “Jermaine’s Interlude” that he’s played with thoughts of retirement and to hear him say that his last show will be the last for a while has some fans in their feelings to say the least. Is Cole really considering retirement or is he just taking some time off to work on a new album? Lets hope that’s the case. Dreamville to the end of the world and back! Earlier this week, Kanye West unfortunately cut his Meadows Fest set short due to a “family emergency”. While fans spent the rest of the night and much of the next morning speculating why the T.L.O.P. rapper didn’t finish his performance, we now know it was to catch a jet to Paris. Reports claim that two suspects posing as Parisian Police Officers held the receptionists at gun point within the private mansion that Kim Kardashian is inhabiting for Paris Fashion week. Upon being held at gun point, the suspects allegedly forced the receptionists to open the doors to Kims quarters and upon entering, then held Kim at gun point until they locked her in the bathroom. Apparently the value of what was stolen in jewelry and cell phones is thought to be in the millions. To no surprise, Kanye West and Kim Kardashian arrived back in NYC yesterday with a heavily increased security presence.